Summary: Some people collect stamps or coins, but Jerome collects words. He loves the sight and sound of them. His collection consists of scrapbooks, in which his words are arranged by category (“Dreamy”, “Scientific”, “Action”). One day, though, he slips, and his words go flying. They’re all mixed together, and Jerome discovers he likes them even better that way. Putting unlikely words together results in poetry; simple words like “sorry” and “thank you” are surprisingly powerful. 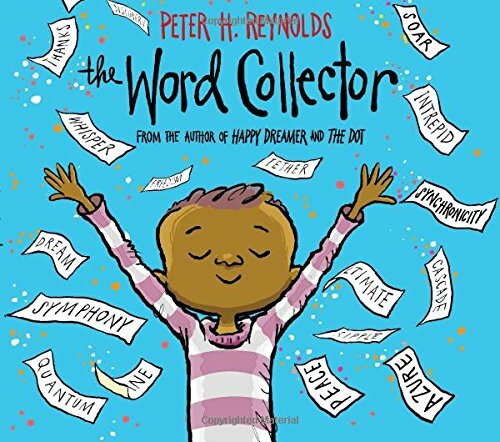 At last, Jerome gathers all his words into one big bag, and scatters them into the wind; then enjoys the sight of children running around gathering up his words. The final endpapers offer this advice from the author: “Reach for your own words. Tell the world who you are and how you will make it better.” 40 pages; ages 4-8. Pros: This could be used in a variety of ways in an ELA curriculum: vocabulary and poetry come to mind, and I’m sure there are others. Cons: The final scattering of words seems pretty messy. 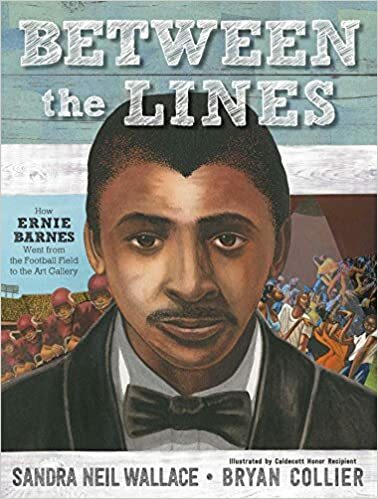 Summary: Growing up in segregated North Carolina, Ernie Barnes wasn’t allowed to go to art museums. He loved to draw, though, and his mother often took him with her when she worked at a wealthy lawyer’s house so that Ernie could see the paintings hanging on the walls. In high school, his size caught the attention of the football coach, and he did well enough on the team to earn 26 college scholarships. After college, he played professionally, but his first love was always art. In 1964, he quit football to pursue painting full time, eventually winning fame for his portrayal of sports scenes (he was the official artist of the 1984 Olympics) and African Americans that he remembered from his childhood. Includes an historical note, notes from the author and illustrator, and a substantial list of additional resources. 48 pages; grades 1-5. Pros: The large, beautiful illustrations by Bryan Collier pay homage to Ernie Barnes, and include copies of some of his work. Barnes’s story is an inspiration to follow your dreams. Cons: Although a few of Barnes’s works are reproduced with the endnotes, Sugar Shack, one of his most famous that is mentioned several times in the notes, isn’t shown. Summary: “Little” Charlie Bobo (at age 12, he’s over six feet tall) believes the Bobo family has terrible luck. After his sharecropper father dies in a freak accident, Charlie and his mother are at the mercy of Cap’n Buck, the terrifying overseer from the nearby Tanner plantation. When the captain tells Charlie and his mother that they owe him fifty dollars, Charlie has no choice but to join him on a journey to repay their debt. He tells Charlie he’s in search of thieves who stole thousands of dollars nearly a decade ago; the “thieves” turn out to be fugitive slaves who escaped to Michigan. When Charlie and the captain reach Detroit, they track down the couple who escaped, but their son, also 12 years old, is at boarding school in Canada. Leaving the parents in jail, Charlie and Buck travel north, only to find that the attitude toward slave catchers is a bit different in Canada than in the U.S. Charlie returns to Detroit alone, and discovers that he can’t bring himself to carry out his original mission. He learns he has a kindness and courage that he’s never recognized before as he helps the family reunite in Buxton, Canada. 256 pages; grades 5-8. Pros: Yet another masterpiece of historical fiction from Christopher Paul Curtis. 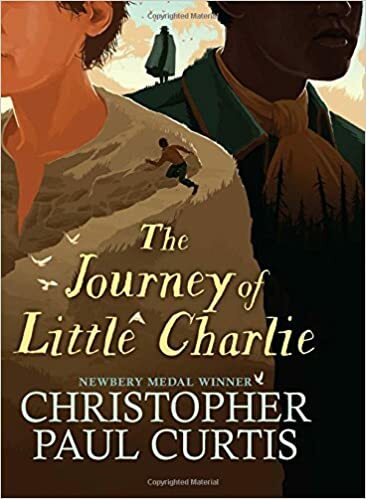 Charlie is an uneducated narrator who doesn’t always trust his interpretation of events, but has enough heart to begin to question the adults around him and to do the right thing in the end. Cons: Kids may need some guidance with the dialect and overt racism of Charlie’s world. Summary: When Tanisha spills grape juice on her new dress, the narrator tries to be kind (“Purple is my favorite color”), but Tanisha is too upset to appreciate the gesture. 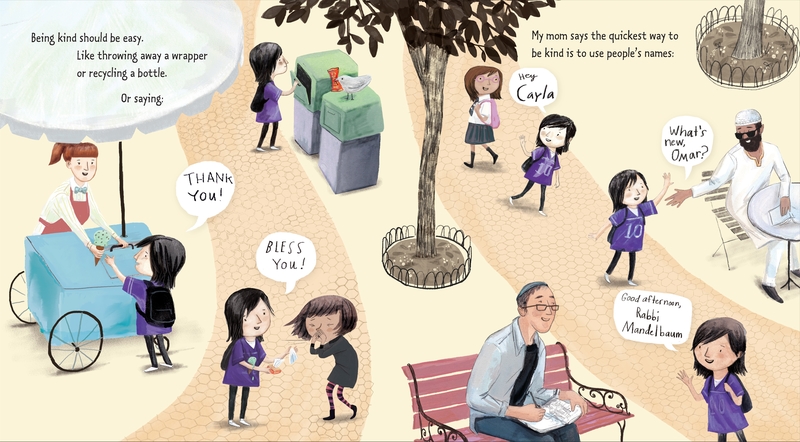 The narrator wonders what she could have done differently, and reflects on what it means to be kind. She thinks of kind acts she’s done in the past, like bringing a neighbor cookies or helping around the house. Sometimes it’s easy (saying thank you), but it can also be hard (sticking up for someone when others are unkind). In the end, she decides to paint Tanisha a picture, knowing that small kindnesses can lead to much larger ones. The final illustration shows that her efforts have not gone unappreciated by Tanisha. 32 pages; ages 3-8. Pros: A good addition to the character education bookshelf. 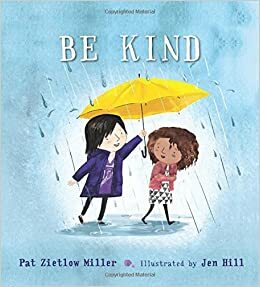 Kindness is explained in terms even the youngest reader can understand and discuss. It’s not clear if the narrator is a boy or a girl, making his/her experiences universal. Cons: Tanisha is clearly having a bad day, but she seems a bit ungrateful. 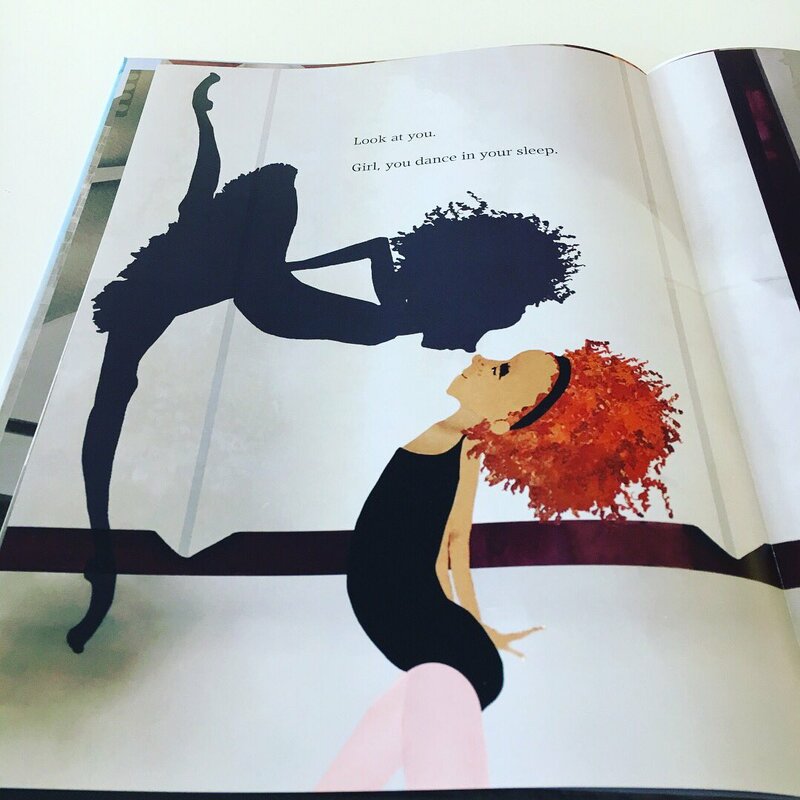 Summary: When a young girl sees a sign reading “Auditions Today” outside a dance studio, she gets a pep talk from a shadowy muse. The silhouette of a similar-looking girl tells her, “Stand up tall./Arch your back./Hold your head high.” The two of them dance off to Central Park and other places around New York City, the shadow reminding the girl of her love of dancing in free verse: “Listen to the hum of your heart’s song./It will never lead you wrong./Dance on top of this city at the center of the universe.” The last page shows the girl soaring through her audition. 40 pages; ages 4-8. 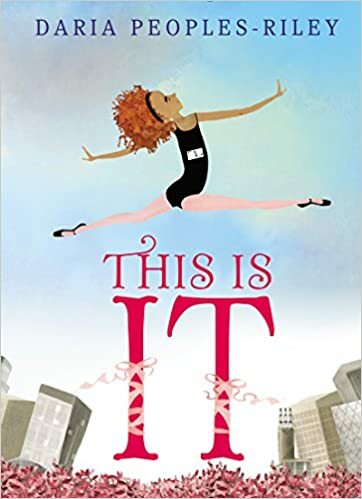 Pros: Dance aficionados will love the ballet, and others will be inspired to follow their dreams. Cons: Well? Does she get the part? 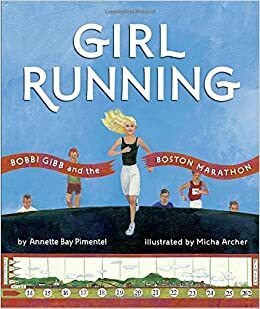 Summary: Bobbi Gibb had to wear a skirt to school, and she wasn’t allowed to join the track team. But when she got home, she headed outside to run as much as she liked. Bobbi grew up near Boston, and after seeing the Boston Marathon one year, she decided to train. Running in nurses’ shoes (there were no women’s running shoes at the time), she sometimes covered 40 miles in a day; yet her application for the marathon was rejected with a letter saying “women are not physiologically able to run twenty-six miles”. Undaunted, Bobbi bought herself a baggy sweatshirt and some boys’ running shoes and snuck into the 1966 race. Other runners cheered her on, as did spectators along the course. Despite painful blisters from her new shoes, Bobbi crossed the finish line after three hours and twenty minutes, 124th in a field of over 400 racers. 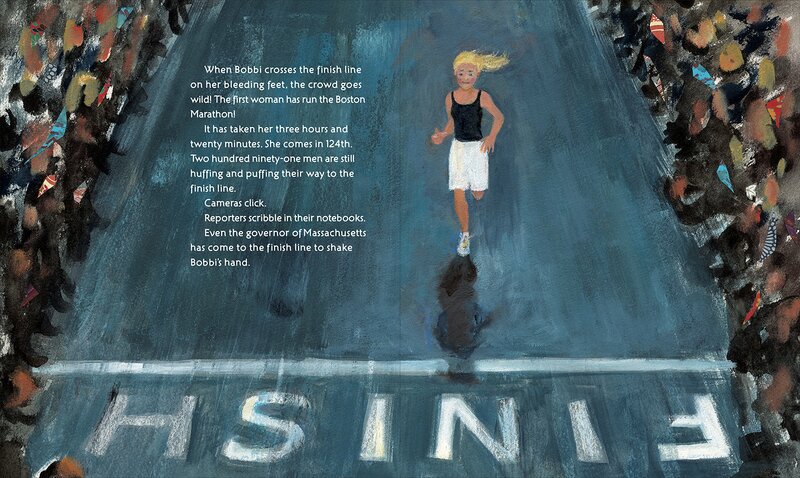 The final page shows Bobbi leading other female runners across a field emblazoned with the names of other women winners of the Boston Marathon. Includes an afterword and brief bibliography. 32 pages; grades K-4. Pros: Readers will be inspired by Bobbi’s hard work and perseverance in challenging the status quo and achieving her goal. Unique mixed media collage illustrations often include place names to show the routes that Bobbi ran when she trained and in the marathon. Cons: A photo or two with the afterword would have been a nice addition. 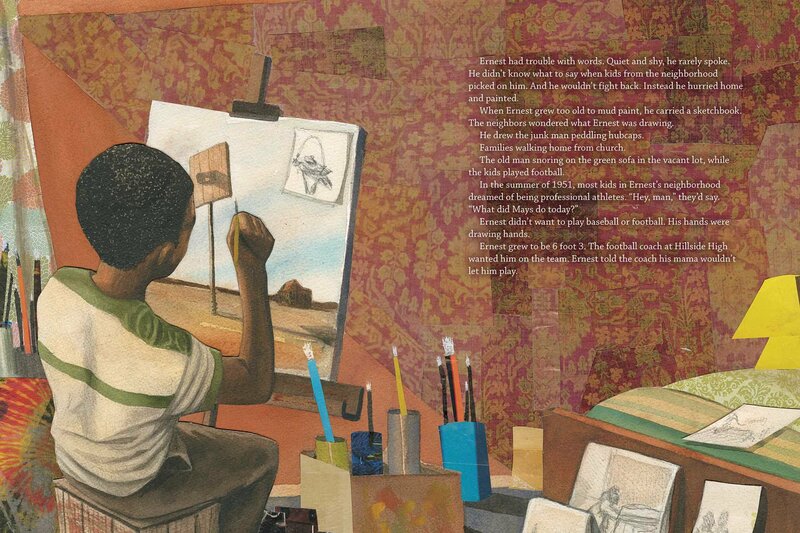 Summary: Twelve haiku poems by Richard Wright are illustrated with collage photographs of African American boys in nature. Wright’s biography is divided into two parts: an introductory page at the beginning of the book and a more detailed three-page one at the end that concludes with an invitation to the reader to write their own haikus. The poems are deceptively simple: easy for kids to understand (“So insistently/A crow caws in a spring field/That I want to look”), yet small masterpieces of word artistry. Includes a list for further reading. 32 pages; grades K-5. 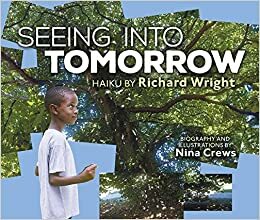 Pros: A perfect introduction to both Richard Wright and the art of haiku, with beautiful photographic collages by Nina Crews (whom I just learned is the daughter of Caldecott illustrators Donald Crews and Ann Jonas), and an age-appropriate introduction to Wright’s life. Cons: No photo of Richard Wright.